My fourth Sweden-set crime ebook – Midnight in Malmö – is just out. (The series is about a blonde Swedish female detective.) It takes my mind off the pantomime that is Newcastle United. Pounding the streets of Malmö looking for locations. Talk to Swedes and expats living there (including my elder son and his family). Fortunately, one of our best friends happens to be a blonde Swedish female detective, so that helps. And I read The Local every day on the internet – it’s an English language newspaper based in Sweden. The next book – in the hope that it’s better than the previous one. Film: Casablanca – can’t beat a classic. Book: A Perfect Spy by John le Carré. An example of great storytelling. Song: Babe Rainbow by Melanie. Shows my age. Television programme: This constantly changes but at the moment it’s the French crime series Spiral. Have to admit I like it better than the recent influx of very good Scandi crime hits like The Killing and The Bridge. Why did the latter have to come up with a blonde Swedish female detective based in Malmö? Malmö is an extra character in my books. That’s why I always try and write about real locations whether it’s a pub, block of flats, city park, public building, train station etc. Some readers enjoy looking up the locations on Google Earth, so I can’t cheat. Quite regularly when a book first comes out; then not so often. More Malmö Mysteries and possibly a follow-up to an historical crime novel I brought out last summer. It’s a romp set in Newcastle in the 1750s. 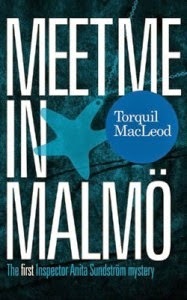 Bio: Torquil MacLeod writes the Malmö Mysteries (four are out as ebooks – the first, Meet me in Malmö, is now out as a paperback through McNidder & Grace). He was born in Edinburgh and brought up in the north east of England. 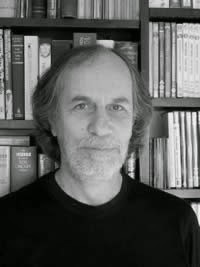 After brief spells as a teacher and a failed life insurance salesman, he worked as a copywriter at advertising agencies in Birmingham, Glasgow and Newcastle, before becoming a freelance writer in 2000. He lives in Cumbria with his wife Susan and hens.